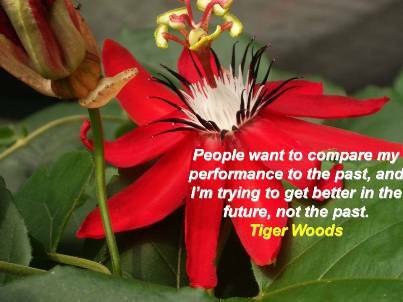 After watching Tiger’s comments, I was pleased to see Tiger address the world. He asked for forgiveness, and America will provide that over time as his actions earn a renewed respect. He stood up for his wife’s innocence in attacking him and shared her statement that she is not interested in his words but in his actions. By putting his family first, taking all of the blame for his irresponsible actions and returning to treatment, he has started his journey to reclaim the integrity we had assumed was there. Optimism is not about hype or unrealistic expectations. Optimism comes from a track record of obstacles. Tiger has been able to do that on the golf course; now, he must do that in life. Life is like a moving vehicle with no reverse. You can’t go back. Tiger can’t go back. But just as a golfer must let go of the last hole, Tiger is going to have to get out of the rearview mirror and focus on building a new, more responsible future for his family and for himself. I hope he does that. I believe that he will. Time will tell.